Read more from our news partners. 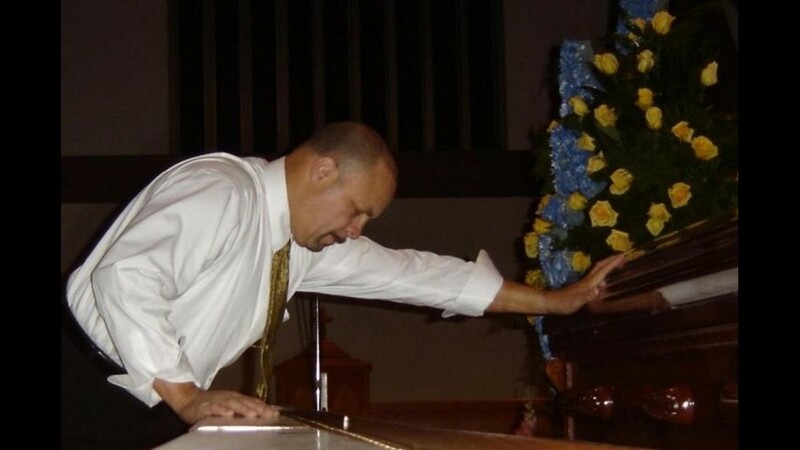 Mark Kerrin says his final goodbye to Rosa Parks at a memorial service. 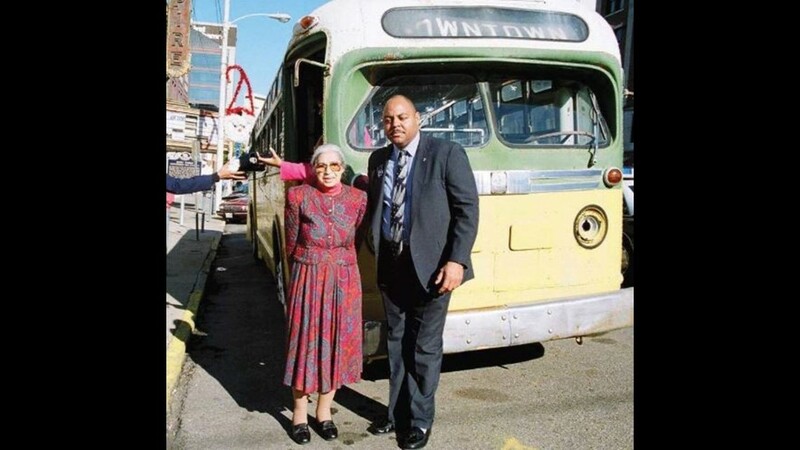 During the 1955 anniversary of the Montgomery bus boycott, Rosa Parks stands in front of the bus on which, 40 years earlier, she refused an order to make way for a white passenger. With her his Sgt. Paul Brown, a Pheonix, Ariz., police officer who helped provide security for her. 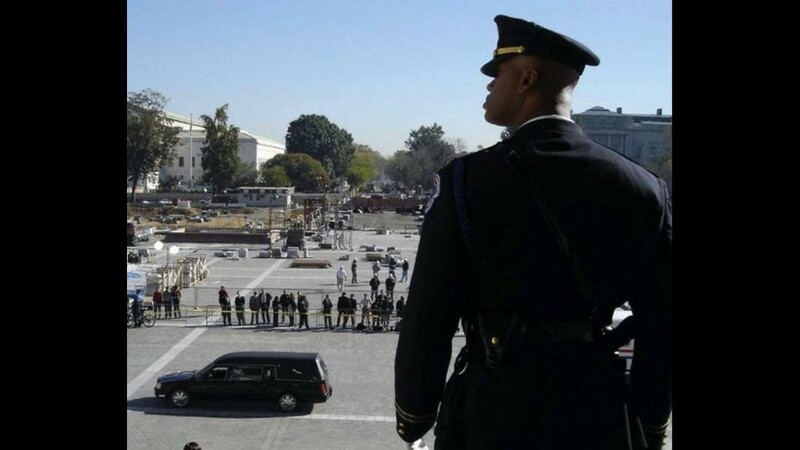 An officer watches as the hearse carrying the body of Rosa Parks arrives at her memorial service in Washington D.C.